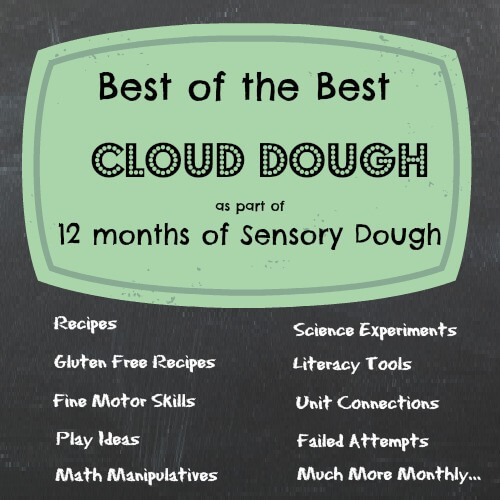 Welcome to 2nd edition of 12 Months of Sensory Dough where 12 KBN Bloggers will bring you their special spin on a popular sensory dough. 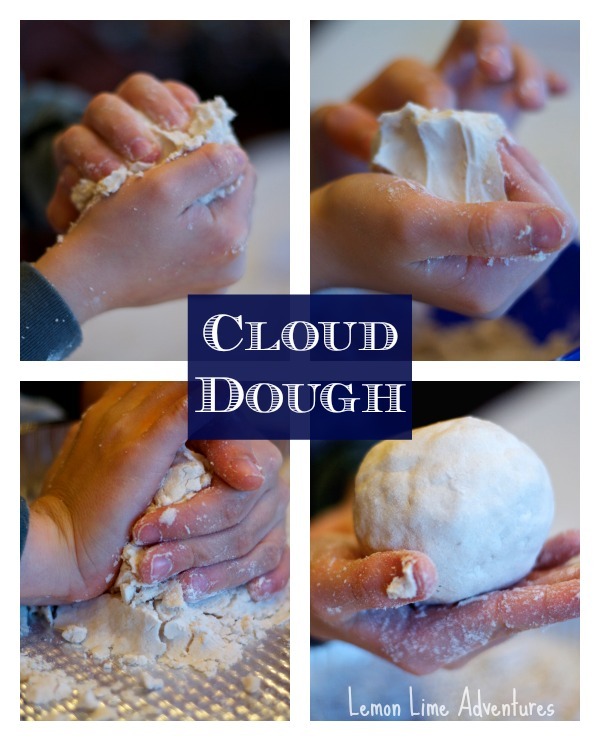 This month’s feature… Cloud dough! 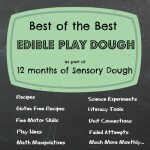 Our hope is to provide a resource where you can find all things Sensory Dough in one place. We feel so excited about this being a place for you to find and share great ideas, that we have opened our link-ups for an entire year. If you followed from last month, you know I started this series because I have always been a huge fan of different doughs. I have tried my hand at a few, but I do not consider myself any sort of expert at all. One of my main goals is to make sensory play seem accessible and easy for you. 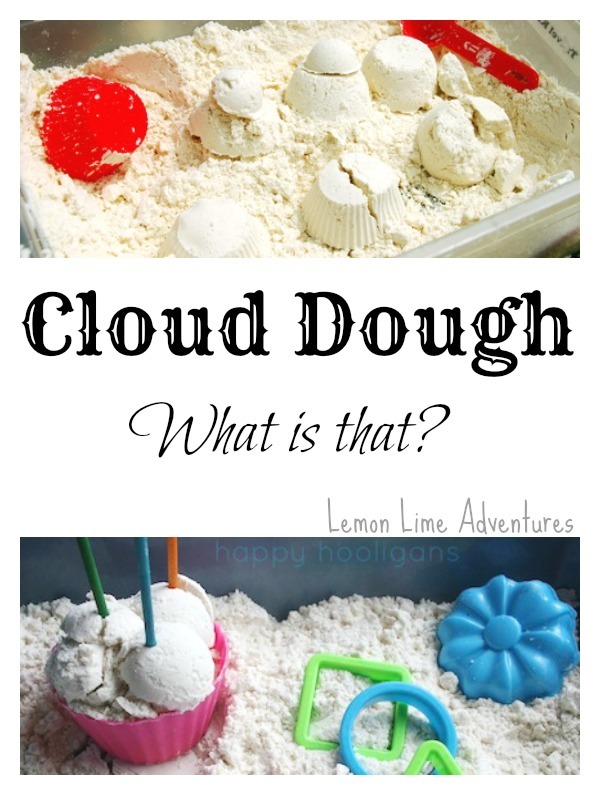 As always, I will define cloud dough, link to popular recipes, show you what it SHOULD look like according to Pinterest, describe our experiment and show you want it DID look like. You can help us decide if it was a fail or success! What Should Cloud Dough Look Like? 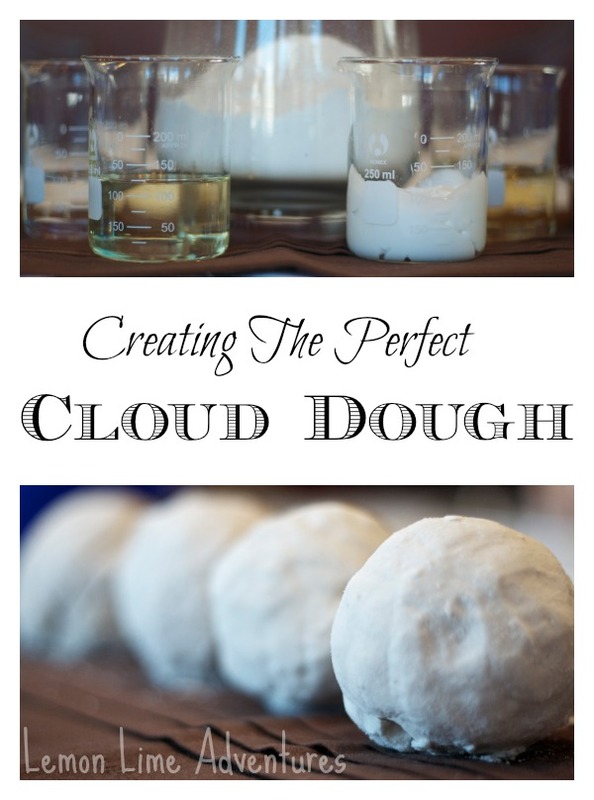 What Experiment Did We Do With Cloud Dough? As we prepared to experiment with Cloud Dough, we reviewed proportions, learned about ratios and explored the properties and viscosity of various liquids. After using Legos to visualize ratios and equivalent fractions, the boys (ages 6 and 8) understood the 8:1 ratio much better. We decided that since Cloud Dough is supposed to be used with “oil”, we would create an experiment where the variable was the different liquids we chose. We started with a base of 1 cup of flour for each mixture. Labeled each bowl and began by adding 2 Tablespoons of liquid to the bowls. (A different bowl for each mixture of flour+liquid). Tip: We learned that the more viscous (thicker) the liquid, the more tablespoons it needed to mix. While we worked, Super B (8 months) explored her own Baby Safe version of Cloud Dough! Be sure to read about the surprising ingredients we used. 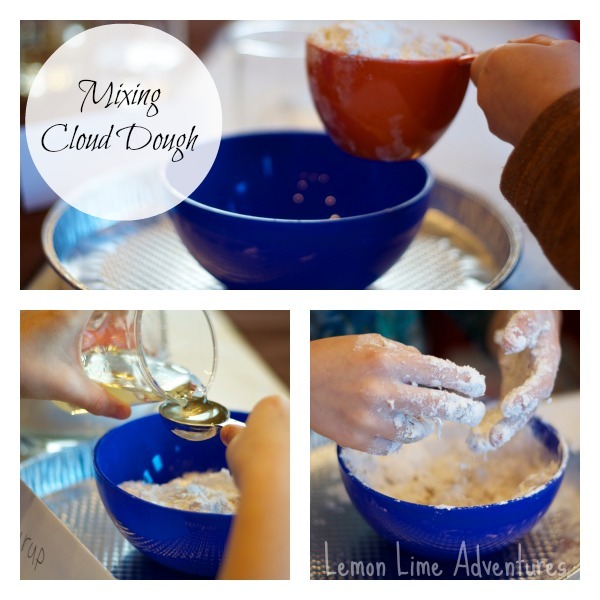 Were We Successful At Making Cloud Dough? Our Personal Favorite was the Baby Oil and Flour. It has been played with for house since we made this batch. The vegetable oil mixture feels almost the same, just a tad less silky. oooh! Love how you experimented with different oils, but also love your description of what cloud dough should look and feel like! Neat that the baby oil was a favorite! and that it was more silky. Great job! Thank you so much! We had so much fun! I am loving this series! This is fantastic! 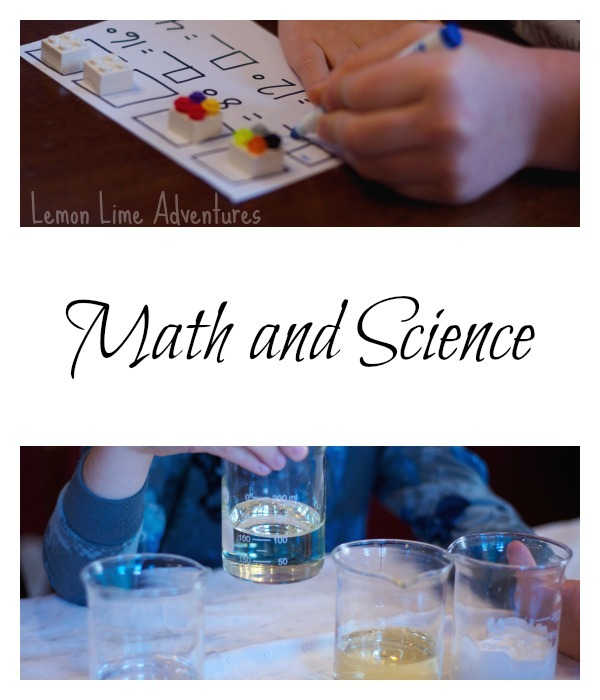 I love that you are incorporating science and math into it. Such a great learning opportunity. Testing different ingredients and proportions was a great idea! Thank you so much! The boys really enjoyed learning about the different thicknesses of a liquid, and it was interesting to see how each reacted with the flour. Yours looks fantastic! Definite win! You are too kind! Thank you so much! We had a lot of fun! With an added bonus of figuring out a cloud dough for Super B! I loved seeing a picture comparison of the different oils being used. Awesome, awesome experiment!! I definitely agree the baby oil seems to be the most authentic and truest version of the cloud dough. We went with the vegetable oil and now after seeing your experiment I’m really excited to try out the baby oil to experience more of that silky, cloud texture. It was a fun experiment for sure. We want to make the others work now though. So now we want to do it again but changing the powder. It really is fun just playing with the different ones. We are having a blast with this series! I really love the idea of the experimenting… I really want to try it with Aarya someday… but first I want him to *explore* this dough. We haven’t really played with it enough times. Your experiment is really enriching! I should start doing such measure-filled experiments! My boy was frustrated that our cloud dough couldn’t take the shapes of the moulds.. Thanks for encouraging scientific play! Thank you so much. We are kind of sticklers around here about measuring since one son can get upset if the experiment doesn’t go “right”. We try to expand our idea of “right” by trying several methods. I love your experiment! I have experimented with play dough recipes a lot, but not cloud dough. I love that you tried different versions of it and also drew conclusions about the relationship between viscocity and the amount needed. I guess we will try a cloud dough in summer when we have more time. So looking forward to no homework!